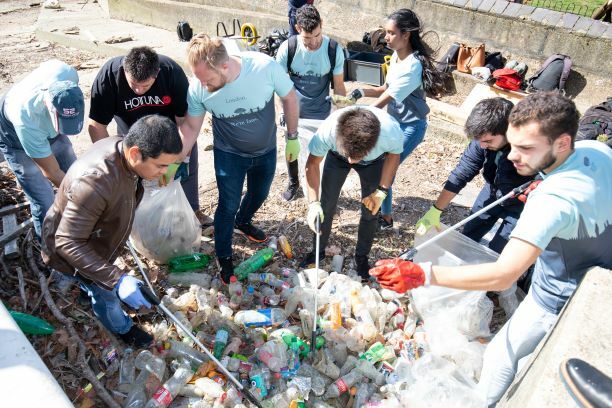 September 20 2018, London: London’s largest plastic waste monitoring event, the annual Big Bottle Count, saw more than 100 volunteers count and remove the plastic bottles from the Thames yesterday in the biggest action of the programme so far. 3,249 bottles were counted and removed at 18 sites along the Thames (see map attached) as part of the ongoing investigation into the impact of single-use plastic bottles on the capital’s iconic river, organised by waterway charity Thames21 and the #OneLess campaign to reduce single-use water bottle consumption in London. Londoners, aided by two stalwart Thames21 badged groups in Rainham and Grays, have removed a total of 36,667 plastic bottles from the Thames in the past year alone, once the latest count is included. In addition to the annual Big Count, volunteers count and remove bottles from key sites throughout the year as part of the ongoing plastic monitoring programme run by Thames21 and #OneLess. The summer heatwave had an impact on Londoner’s consumption of single-use plastic water bottles, Thames21 and #OneLess data suggests. Still water bottles are routinely one of the most common plastic types found in the river, but over the summer the proportion of water bottles exceeded fizzy drink bottles for the first time. “Clearly Londoners’ consumption of bottled water increased during the hot weather. This highlights the need for more London fountains, so people can get this basic resource for free, especially with more hot summers likely” said Alice Hall. 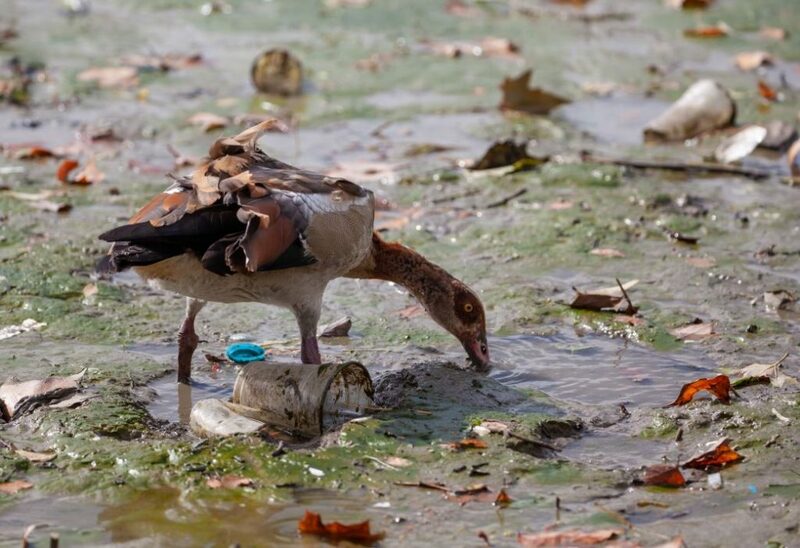 The latest count brings to 55,533 the number of single-use plastic bottles that have been removed from the river since April 2016, when the joint Thames21 #OneLess monitoring programme began. The London Assembly’s Environment Committee published a report last year into the impact of plastic water bottles in London, calling on the Mayor to install refill points and fountains, drawing on key #OneLess and Thames River Watch data. Thames21 connects people with rivers by putting healthy rivers back at the heart of everyday life. We improve and restore rivers, educate and empower the community and campaign for positive change for the good of people and the environment. Thames21 set up the Thames River Watch programme in 2014 to enable Londoners to help protect and monitor the Thames’ health by collecting crucial data from the foreshore. It offers free one-day training to anyone interested in discovering more about the river’s health and releases a report annually on the findings. Those interested in joining can contact thamesriverwatch@thames21.org.uk .The project is funded by Tideway, the company building the Thames Tideway Tunnel. The #OneLess campaign has been leading the charge against ocean plastic pollution since 2016, focusing on the pervasive single-use plastic water bottle. #OneLess is creating a ‘refill revolution’ in London, transforming the capital into a place where single-use bottled water is a thing of the past and where ‘refilling’ rules. #OneLess is led by the Zoological Society of London, in partnership with Forum for the Future, The International Programme on the State of the Ocean, and the Thames Estuary Partnership and is working with a series of major London attractions and businesses to find and implement solutions to enable a refill culture. For more information visit www.onelessbottle.org. Founded in 1826, ZSL (Zoological Society of London) is an international conservation charity, working to create a world where wildlife thrives. Our mission is realised through our ground-breaking science, our active conservation projects in more than 50 countries and our two Zoos, ZSL London Zoo and ZSL Whipsnade Zoo. For more information visit www.zsl.org.